Zara Anjali Wogsland was born in Knoxville, TN on 7 July 2005. She was the 4th child of Brad and Cara Wogsland and her first name means "little" in Hindi. Her parents got her name from characters in Bollywood movies. Young Zara quickly became a favorite of her three older siblings. 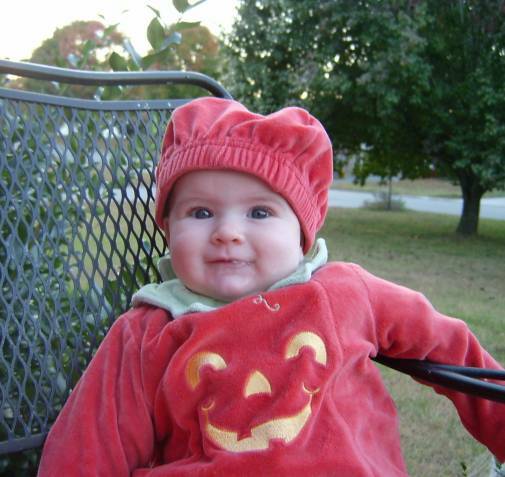 Zara went as a pumpkin for her first halloween. Cara Ellen Wogsland 1979 - ? Last Modified: 3 November 2005 by Bradley James Wogsland.